We are a leading gaming and betting development software company that supplies iGaming startups as well as established operators worldwide. We focus on fast integration, ensuring rapid and cost-effective Time-to-Market to all our licensees. Including a full suite of top iGaming products such as casino, sportsbook, lottery, bingo, virtual sports, mobile casino and live casino, all deployed under the industry's most powerful iGaming platform, as well as services like sub-licensing, branding, content management, KYC, support, payments, etc. 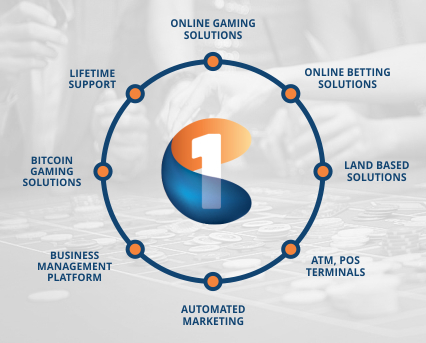 Our complete turnkey solution's core advantages are industry leading launch time, highest number of gaming providers integrated, powerful data consolidation platform, innovative retention tools, and included sub-license.